We don’t know what gifts Chemours is grateful for this Thanksgiving (a $275 million profit in the third quarter?) but a penalty imposed by state environmental regulators isn’t one of them. 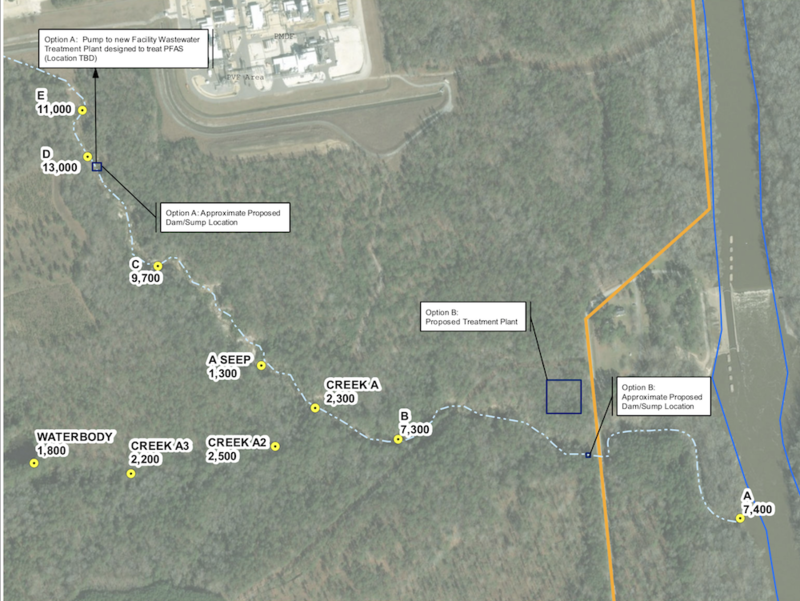 At 7:30 p.m. on Thanksgiving Eve, the NC Department of Environmental Quality announced a 39-page proposed consent order between the agency and Chemours in which the company would pay $12 million civil penalty, plus $1 million in investigative costs related to GenX contamination from the Fayetteville Works plant. The nonprofit Cape Fear River Watch is a plaintiff/ intervenor in the case. Chemours must provide permanent drinking water supplies in the form of either a public waterline connection or whole building filtration system for those with drinking water wells with GenX above 140 parts per trillion “or applicable health advisory.” This language gives the agency latitude in case the health advisory is revised to 110 ppt, as a recent EPA draft report recommends. The company must also provide, install and maintain three under-sink reverse osmosis drinking water systems for well owners with combined PFAS levels above 70 ppt or any individual PFAS compound above 10 ppt. These concentrations reflect EPA recommendations; 10 ppt is also the state’s groundwater standard for otherwise unregulated compounds. By Dec. 31, 2018, complete construction of new emission controls to achieve a 92 percent reduction of facility-wide GenX compound air emissions compared to the 2017 baseline. Sample drinking water wells at least one-quarter mile beyond the closest well that had PFAS levels above 10 ppt, as well as annually retest wells that were previously sampled. Submit and implement a plan for sampling all wastewater and stormwater streams to identify any additional PFAS. The wanton way these chemical companies dispose of their waste into our groundwater is criminal, they need to be held accountable and this MUST BE STOPPED! Stop polluting our water. To poison our water is not only criminal it is EVIL.